The Children's Room: What's new in Audiobooks? Okay, here is one of my absolutely-tops-best-favorite audiobooks. In fact, I'm going to admit that I'm not even sure if I've read any of the books!! My family and I discovered this series on audio, and Nathanial Parker does such an amazing job of narrating that I jumped at the chance to listen to each new audio in the series. 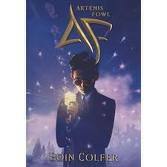 If you love Artemis Fowl, you'll love this audio---if you've never read any of the books, you'll love getting to know them by listening! 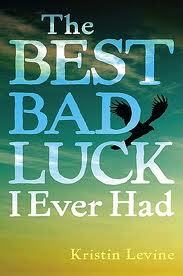 This was one of my favorite books last year, and I thought that it just begged to be read aloud. Janet Song's narration comes highly recommended, so I'm really looking forward to listening to it! 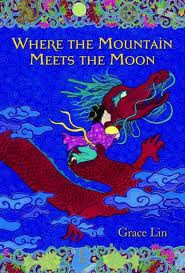 One of my sixth-graders recommended this book to me last year, and it's one of those stories that just sticks with you long after you finish reading. It's the story of a white boy and a black girl in a small Alabama town before the days of the Civil Rights Movement. By turns funny, sad, poignant, and suspenseful, I enjoyed this book from beginning to end.I'm going to take this one home this weekend! Come on in and check out some of our new audiobooks for yourselves!